Did Iran's Foreign Minister condemn the Holocaust at the security conference in Munich? Depends who you ask. Depending on who you ask, Iran’s Foreign Minister may or may not have said this week that the Holocaust was “tragically cruel”. 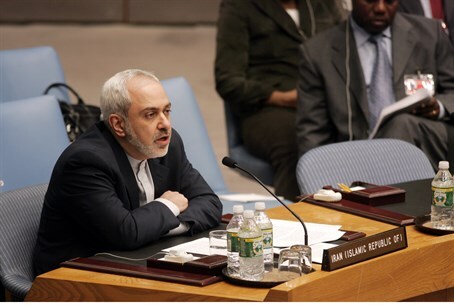 On Monday, however, the semi-official Iranian Fars news agency reported that Zarif had “categorically denied” the remarks attributed to him about Israel. He stressed, according to Fars, that the Islamic Republic's view about the “Zionist regime” has not changed. The statements on the Holocaust, if they were made, are not the first time that Iran’s President Hassan Rouhani or Zarif have presented moderate views about the Holocaust. In September, Zarif wrote on Twitter that Iran had never officially denied the occurrence of the Holocaust, and that former President Mahmoud Ahmadinejad, who denied the Holocaust and openly called to wipe Israel off the map, was no longer in power. That tweet came in response to Christine Pelosi, the daughter of the U.S. House Minority Leader, after Zarif joined Rouhani in sending Rosh Hashanah wishes to the Jewish people. Rouhani himself later stated in an interview on CNN that the Nazis committed a "reprehensible" crime against the Jewish people. Iran subsequently claimed that CNN had misrepresented Rouhani's statements, claiming the network added the words "Holocaust" and "reprehensible" to its translation.